The fifth edition of the Aid Worker Security Report provides the latest verified statistics on attacks against aid workers from the Aid Worker Security Database (AWSD), and examines the particular security challenge of road travel. Although vehicular accidents are a common source of injury and death to aid workers, this report is not focused on road safety, but rather on issues of security (i.e., managing the threat of deliberate violence). Over a decade’s worth of data show that ambushes and IED attacks on the road have consistently outnumbered other forms of violence (such as raids on compounds or attacks on projects). Yet despite this marked vulnerability, little new thinking or investment has been devoted to innovating new and better road risk mitigation measures. Part 1 of this report provides a trend analysis on aid worker security incidents worldwide, followed by an in-depth look at violence affecting humanitarian personnel and materials in transit. Part 2 discusses how different organisations have been addressing the issue and ways in which mobility constraints have affected aid programming. Part 3 suggests potential areas for exploration intended to jumpstart the dialogue on road security and encourage new strategies to better reduce aid workers’ vulnerability to these attacks. In 2014, 190 major attacks against aid operations occurred, affecting 329 aid workers in 27 countries. This represents a decrease of roughly 30 per cent from last year’s all-time high. However, numbers of attacks remained higher than in previous years. The 2013 spike in casualties and subsequent decline have related causes. Escalating conflicts in South Sudan and Syria, as well as ongoing violence in Afghanistan, drove the surge. In all these contexts, attacks declined by over a third in 2014. This was due mainly to reduced or reconfigured operational presence in these countries, with fewer aid workers deployed to field locations deemed insecure. 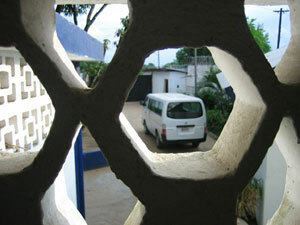 Kidnappings have again surpassed shootings as the most common means of violence affecting aid workers. As in past years, most kidnap victims were national staff of aid projects in Afghanistan, and were released following intervention by community elders. The estimated number of humanitarian aid workers in 2013 was 450,000, yielding a global attack rate of 10.5 victims per 10,000 in the field. Although the estimated number of aid workers has not yet been calculated for 2014, it is not expected to drop significantly (given humanitarian funding trends, it is more likely to increase). This means that attack rates will have reduced in 2014 along with absolute numbers. Article précédentL’Adieu à l’humanitaire ?